Probiotics, which also are referred to as "good bacteria," are live microorganisms that are linked to many health benefits. Research shows that they can improve digestive health, boost the immune system, and possibly reduce the risk of cancer. But Mary Ellen Sanders, executive director of the International Scientific Association for Probiotics and Prebiotics, is quick to point out that clinical studies on probiotics are done with one defined strain or combination of strains. 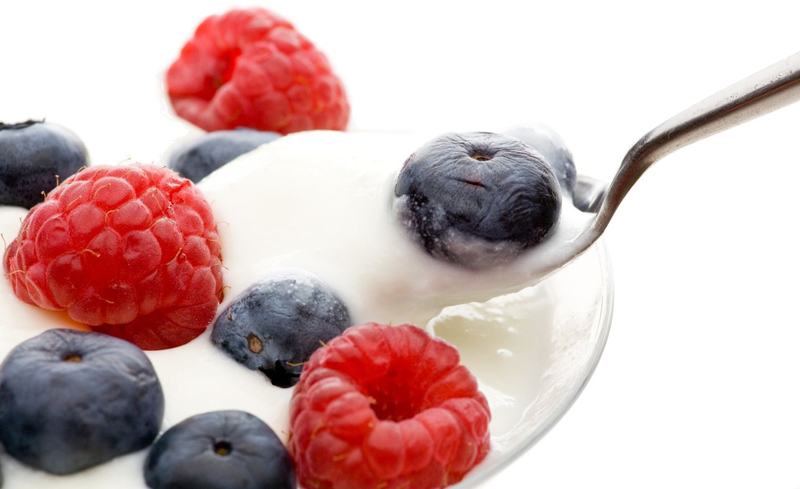 "It's important to recognize that the health effects of probiotics can be strain-specific. We can't assume that other strains of Lactobacillus will have the same benefits as those found with Lactobacillus rhamnosus GG, for example." Sanders recommends that people with specific health concerns look for products that have been tested for that particular issue. (For a summary of probiotics shown to be effective for various conditions, go to USprobiotics.org). And while each individual micro-organism may not improve every symptom or condition, Sanders says that there is likely a benefit to incorporating more probiotic-rich foods into our diets overall, particularly in terms of general digestive health and immune function. Yogurt gets much of the glory when it comes to probiotics, and it certainly deserves a mention, but many types of fermented foods can provide us with these "good bacteria." Be aware, however, that not all fermented foods contain live cultures in the finished product. Sourdough bread, for example, is baked, which destroys the live microorganisms. And when fermented beverages, such as beer or wine, are filtered, the microorganisms are removed, as well. Yogurt. My preference is plain, lowfat Greek yogurt (since it's protein-rich with no added sugar), but any yogurt with a pure, simple ingredient list that includes 'live, active' cultures will do. Buttermilk. It's one of those love-it-or-hate-it things, but those of you who love it are in luck. Buttermilk is a good source of probiotics, thanks to the live cultures added to ferment the milk sugars. Cooking with it, however, will destroy the live cultures. Kefir. It's sort of like a drinkable yogurt, but kefir has different types of probiotics than yogurt. It's made by fermenting milk with a culture of yeasts and bacteria that are referred to as kefir 'grains.' Stick with plain, unflavored kefir to minimize added sugars, and try it in place of milk over whole grain cereal, blend it with fruit to make a smoothie, or just drink it straight. Cultured cottage cheese. Nancy's (Nancysyogurt.com) is the only brand of cultured cottage cheese that I've seen in New Orleans-area stores (usually in natural food stores). It's different from regular cottage cheese in that it provides live cultures, including L. acidophilus and B. bifidum, as well as four strains of lactic cultures. Miso. It's made by fermenting cooked soybeans with rice or barley, salt, and koji (a starter culture) to form a red, white, or dark colored paste. Miso can be used in place of salt in your favorite recipes, as well as in salad dressings, soups, marinades, dips and pesto. For maximum benefit from the live cultures, buy unpasteurized miso paste (located in the refrigerated section of grocery stores) and add to cooked dishes just before removing from heat. Kombucha. It's made by fermenting yeasts and bacteria with sweetened tea, resulting in a slightly carbonated, probiotic-rich beverage. Look for it in the refrigerated section of grocery stores. Sauerkraut. The fermentation process means that homemade sauerkraut is a good source of live, active cultures. But if it's store-bought, look for sauerkraut that's refrigerated and labeled as containing live cultures. Otherwise, it's likely been heat treated, which destroys the live cultures. Kimchi. A popular Korean dish, kimchi is fermented and pickled cabbage, mixed with other ingredients, such as red pepper flakes, radish, ginger and onion. The freshly made kimchi found at Asian markets and restaurants is rich in probiotics, but, like sauerkraut, kimchi in a jar that has been on the shelf for months has been heat treated, and doesn't contain live, active cultures. Fight Cancer with Organic Green Shakes!